Rarely, if ever, have business schools experienced change as far-reaching and powerful as during the current wave of globalization. 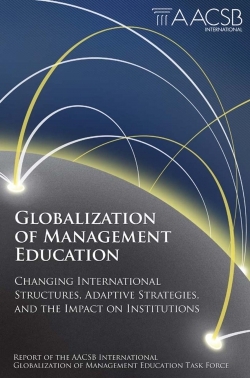 Understanding these changes, and their implications, was the charge given to an AACSB Task Force on Globalization of Management Education. 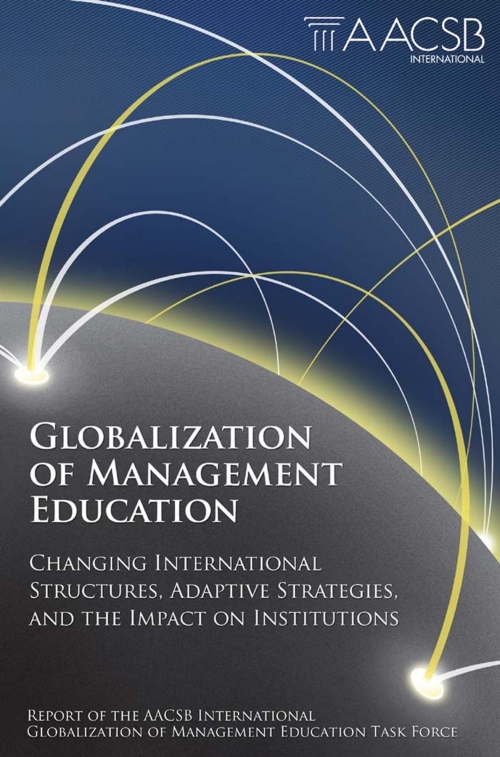 In this comprehensive report, the Task Force explores broad globalization trends in management education that command the attention of any individual or institution striving to navigate in today's environment. Then, by exploring individual business school strategies, it provides valuable insights into how business schools can and should respond. The report aims to encourage and guide business schools to embrace globalization in ways that are mission-appropriate, manageable given available resources, and meaningful to the stakeholders being served. For organizations serving business schools, it will be a catalyst for action that elevates and improves business schools' capabilities. Readers will be left with the conviction that great opportunities exist for business schools to move from keeping pace with the sweeping changes of globalization, to leading the way.